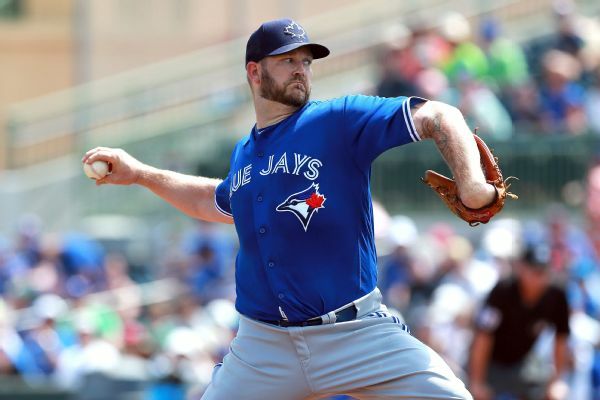 Trying to make the Blue Jays this season, Brad Penny is retiring instead after 14 seasons in the majors. Rafael Soriano reportedly has also decided to leave the Jays and retire. 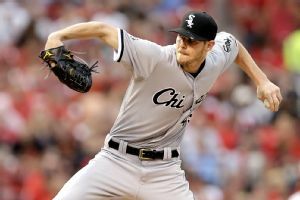 On Tuesday night, Chris Sale crushed the best-in-baseball St. Louis Cardinals with 12 strikeouts in eight innings. In his 300th career start, Justin Verlander (0-1) got the loss and allowed the 3,000th hit of Alex Rodriguezs career, as the Detroit Tigers lost 7-2 to the Yankees on Friday. Highlighting the most notable pitching performances in MLB over the past week. Among the things to watch this week in baseball: how the Astros fare against top-notch competition and Monday's Corey Kluber-Chris Sale matchup. Manager Robin Ventura promised that a final roster is coming soon. He just wasn't ready to reveal it as spring camp was set to break Thursday. Jake Petricka's chances of starting the season on the Opening Day roster are now slim after he reported more soreness following a throwing session. As set as the White Sox's roster seemed to be heading into spring training, there remains a number of decisions to make with the pitching staff. GLENDALE, Ariz. -- With Cactus League games set to begin next week, the Chicago White Sox will not move any of their four remaining starters into Chris Sale's vacated rotation spot. GLENDALE, Ariz. -- Perhaps Brad Penny's chances of returning to a major league roster can be enhanced by changing roles.The veteran joined the Chicago White Sox on a minor-league contract this offseason and received an invite to major league camp.